A new year begins for us here at the House Mouse and Friends Monday Challenge. We continue to allow an "Anything Goes" theme for all of our challenges. Since this is our very Very First Challenge of 2015, our Mousey Team is kicking it off on a high note by giving away this Yummy CANDY to one very Lucky Player who enter the challenge. 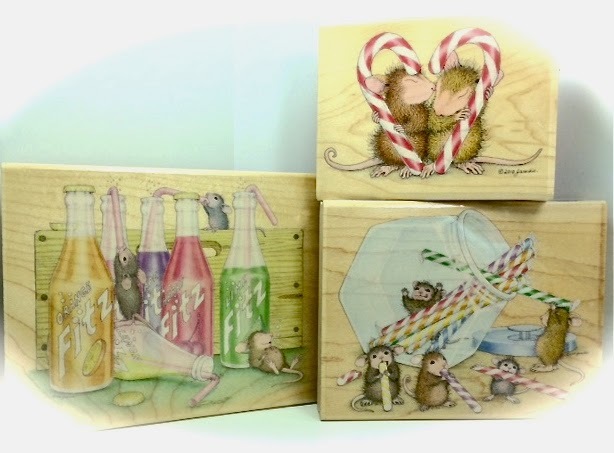 This fabulous CANDY includes three brand new adorable House-Mouse Designs Wooden Rubber Stamps by Stampabilities!! We must say farewell to our lovely Guest Designers who contributed gorgeous work during November and December, Jean Chaney and Snoopy. Please also help us give a warm welcome to our two NEW Guest Designers joining us in January and February of 2015; Crafty Natalie and Kate T.
all the information and rules for he challenges. This challenge runs from today, January 5th, through January 17 th, 2015, midnight EDST. We would love it, if you joined the fun and created a card or project for this challenge. We love checking in with you to see what you came up with. Oh my, how precious are those lipstick covered critters! Beautiful coloring and embellishments, and I really like the sketch too! Lipstick helps anyone to look better. This is a cute colorful, fun card, Sue. Love It. It's great that you have that picture of Niagara Falls when it was frozen. In our area we have Narragansett Bay which is about a mile or so across at it's widest point. My Dad told me that one year in the 30's it froze so solid that they were able to walk from one side to the other. I love these pictures and stories. AWE Sue...this is such a GREAT House of Mouse stamp!!! My friend Dianne would LOVE this...just as I do!!!! The sweet little mouse looks like she's playing dress up and maybe looking for her froggie Prince??!! The colours you used are sure to brighten our dreary January day...perfectly done dear Sue!! Happy New Year Sue, I do hope it will be a kind one for you and your family. 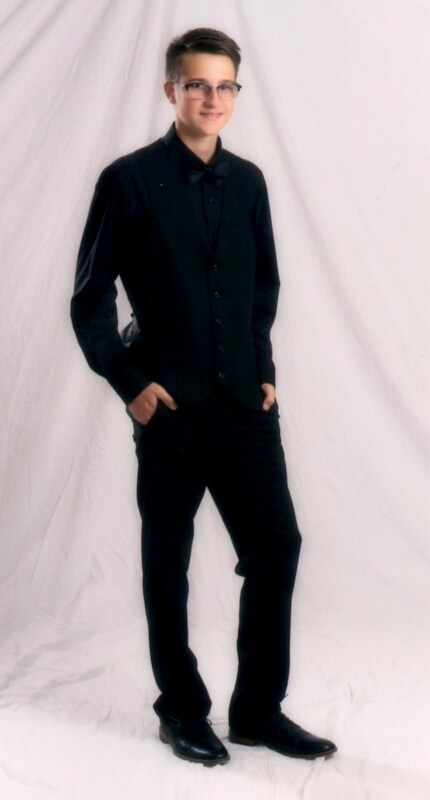 Love the photo too ! Awwww such a cute and fun image Sue! Wonderful colouring and beautiful detailing too. This is a brilliant card Sue, such a fun image and gorgeous papers - your flower is beautiful. Lovely card Sue, the stamp is such fun. The photo on your header is amazing. Adorable cute mousey image, the gorgeous DP's & design are so colourful great work teamie..